Two hours and change. That's how long I hunted two years ago before my new food plot began paying off. It was only a few weeks earlier that I'd sprayed, disked and broadcast several bags of Pure Attraction into the previously barren soil, and I was already seeing dividends. At first, the pay-off looked like a flicker of movement, but then it was a silhouette. Finally, I realized it was a mature buck. Many prospective food plotters worry that it might take years to see the benefits of their work come to fruition, but on that cool October evening hunt, I could see that wasn't true. There's no doubt that food plots offer tremendous long-term benefits to deer and deer hunting prospects, but you don't need to wait years to see positive changes on your property. From what I've seen, the benefits of food plots come in many forms at many times - and not necessarily after a long wait. As evidenced by the encounter I described, the benefits of food plots can manifest themselves the first year you use them or even the first day of the season. But the ways those benefits come to be are many. Most notable, the first year you've established a food plot, you should expect to see increased deer activity on your property. Whitetails aren't too different than teenage boys, as they're always searching for their next meal. If you can provide the best food in the neighborhood, you'll likely reap the rewards. 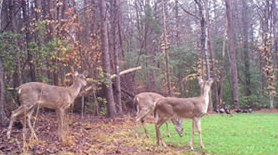 More deer on your property, in most cases, will result in increased hunting opportunities. In addition to attracting more deer to your land, food plots can help you target those deer more effectively. With a well-placed food plot and smart hunting, even in the first year, you'll likely see some deer develop a consistent pattern between a bedding area and your plot - especially in the early or late seasons. According to an Ohio wildlife habitat specialist I know, the key to seeing those immediate benefits depends just as much on how you treat the surrounding area as the food plot itself. "If you can provide a stress-free environment around the food plot, whether it's the first or second year, it's going to be attractive, he said. And then you can really start to dictate things." One the other hand, if you're sloppy with your access or entry, hunt the area too much or generally just stress the deer, you're not likely to see these benefits, as most deer, especially mature bucks using your plots will be much more likely to do so during darkness. 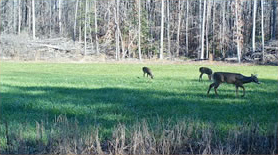 Given the immediate ability of food plots to attract deer they can also provide benefits in the form of increased viewing/hunting opportunities for young or new hunters. You can place a ground or elevated box blind at these locations that will make for a terrific and comfortable hunt while also giving new hunters the chance to see plenty of wildlife. That kind of experience can't be easily replicated with consistency while deep in the timber hanging from a tree. I have enjoyed this benefit, as a box blind on my afore- mentioned food plot allowed my sight-impaired father to harvest his first buck in decades. If you played your cards right in year 1 with food plot, you'll likely have enjoyed plenty of success in the way of increased deer activity and hunting opportunities. During year 2, you should continue to enjoy those benefits. In many cases, those types of results should actually improve, as deer become more accustomed to a new food source and develop more consistent patterns. Additionally, as deer learn to use your food plot, you can also learn how they're doing it and then better adjust your hunting strategy to take advantage. In the second year, you'll also begin to see another return, with increased hunting opportunities at a plot and by attracting more bucks to your property, you'll have more opportunities to make management decisions. This is one of the greatest benefits of food plots. You're going to be able to attract deer to your food source, and once you do that, now you can make the decision on if you want to harvest this deer or if you want to wait another year. Those increased harvest decisions, enabled in part by the opportunities afforded by your food plots, can really help you make a difference in your area. If you have more deer and bucks at your plot and around it, you'll get to be disproportionately responsible for whether bucks make it to older age classes. 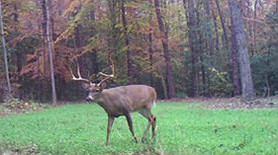 If you're targeting mature bucks, this can make a huge difference. In addition to hunting and management benefits, if you've implemented a substantial year-round food plot plan with perennials providing high levels of protein in spring and summer, you'll likely begin to see the nutritional benefits for your deer herd. You should also see some of the bucks you passed the year before, and with added age and nutrition you'll likely see better antler and body size. You'll also likely see benefits such as healthier fawns and better winter recovery in the herd. Moving forward, every successive year in your food plot plan should bring more noticeable benefits. Hunting and viewing opportunities will continue to be strong, as more deer are attracted to your property and more deer make your land their home. As a result, your opportunities to make management decisions will continue to increase every year, too. Nutritional benefits, though, will most likely provide the greatest improvements during the longer term, With a year-round food plot system filling the gaps during lulls in natural food availability, fawn recruitment, body size, antler growth and many other metrics for deer health will likely continue to improve to some degree. In fact, according to a report from Texas A&M University, Researchers in Mississippi found that maintaining 0.5 percent of an area in year-round agronomic food plots increased body mass, number of antler points, beam circumferences and beam lengths of white-tailed deer. 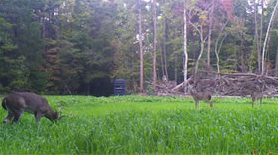 A study in Louisiana showed that yearling deer exhibited a 19 percent increase in live weights following establishment of cool-season food plots. Those type of results will, of course, vary depending on the food sources available outside your plots. But whether you're in and area of heavy agriculture production or the big woods of the Northeast , providing additional high-nutrition options for the herd will certainly help. Two years and change. That's how long it's been since that initial encounter described at the beginning of this piece. Just last night, the benefits of that plot came to a head. It was 45 minutes before dark, and I was again perched high above the food plot, now an established, consistent all-you-can-eat buffet for local deer. As light faded, numerous deer emerged and headed into the plot, plump, content and comfortable in a pattern that has become nearly like clockwork. And then, a shining white set of antlers atop a stout 3-year-old Michigan buck emerged from the nearby standing corn and headed toward me on a mission. He'd obviously been there before possibly many times during his three years. First, he nibbled on some Whitetail Oats Plus. Then he meandered into a strip of Winter-Greens and finally returned to the oats. And there in the lush carpet of green, my arrow met its mark and completed a cycle that was a year in the making. During the three seasons that plots has been in the ground, l've seen multiple bucks, fed and nourished dozens of deer, and harvested numerous does, shared a successful hunt with my dad for the first time in years, and finally, three years later, filled my tag on a big-racked buck. 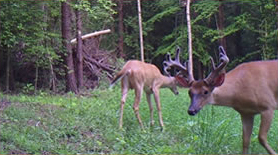 Whether it's Year 1, 3 or 10, the answer to the food plot question seems obvious. The benefits are immediate, long-term and everything in between. So what are you waiting for?